Al Sufouh is an area in western Dubai, bordered by the Palm Jumeirah, Dubai Marina, Al Barsha, and Emirates Hills. It is home to a number of free zones such as Dubai Knowledge Village, Dubai Internet City, and Dubai Media City. In stark contrast to the apartment towers of its neighbour the Dubai Marina, residential properties in Al Sufouh are mainly expensive villas. 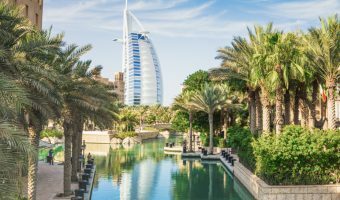 Hotels and places to stay in and around this area include Gloria Hotel Dubai, Fraser Suites Dubai, Jumeirah Dar Al Masyaf at Madinat Jumeirah, and Jumeirah Al Qasr at Madinat Jumeirah. Shopping malls in and around Al Sufouh include the Souk Madinat Jumeirah and the Mall of the Emirates. 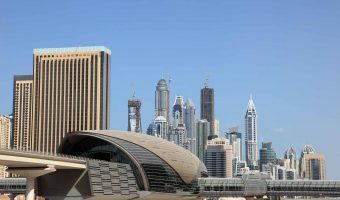 There are plenty of entertainment options nearby such as the Wild Wadi Water Park plus the cinema, indoor ski centre, and other attractions at the Mall of the Emirates. Championship golf courses within easy reach are the Faldo Course, The Majlis Course, and The Montgomerie. Schools in Al Sufouh include the Wellington International School and Dubai College. Both follow the National Curriculum for England. There are two Dubai Metro stations in Al Sufouh; Nakheel Metro Station and Dubai Internet City Metro Station. Both stations are on the Red Line. The Dubai Tram opened in November 2014. The route loops around Dubai Marina and Jumeirah Beach Residence before heading into Al Sufouh. 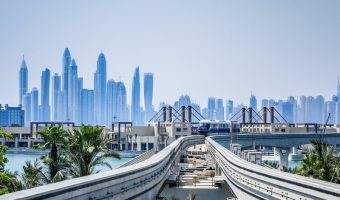 Those wishing to ride the Palm Jumeirah Monorail can begin their journey at Gateway Station. Interactive map of Al Sufouh. 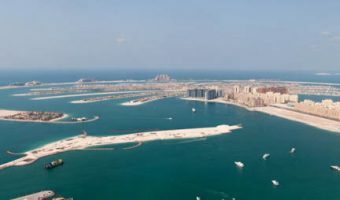 Places of interest in adjacent areas such as the Palm Jumeirah and Al Barsha are also shown.